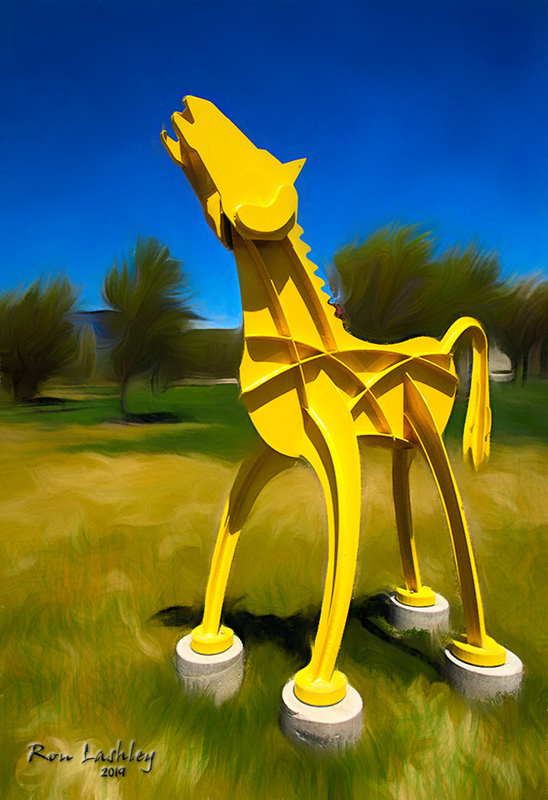 One of several metal horses on the grounds of the local library. Processed in Topaz Studio. Cool sculpture …nice work Ron. I like how you preserved the sharpness and details of the statue and blended it nicely with the processed background.